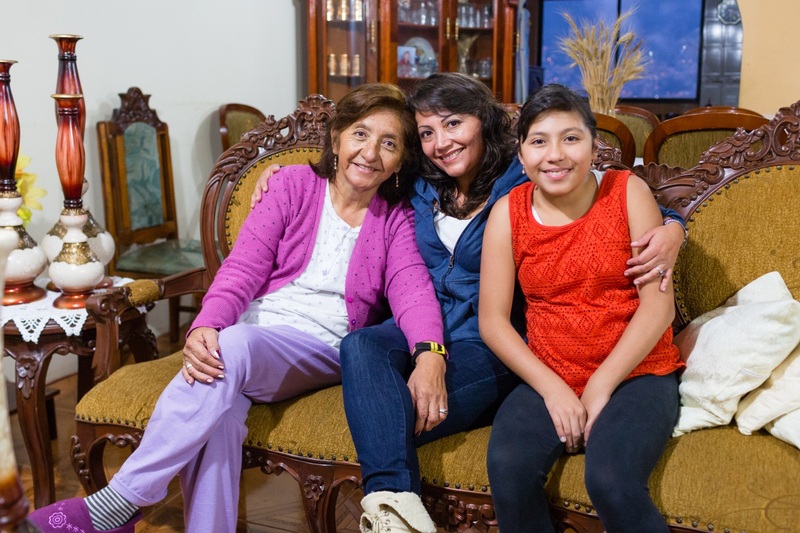 One of the most fun and valuable experiences that our volunteers have during their stay in Ecuador is to live and share with an Ecuadorian host family. To share a little of that experience with you, we decided to interview one of our host families every month. This month we paid a visit to host family Correa Maldonado, which consists of Franklin (39) and Viviana (37), their children Alejandro (20) and Anahí (15) and Franklin’s mother, Marty (60). Viviana welcomed us, cheerful as always. Viviana: already more than three years. We started in 2015 with volunteer Rick Janssen and it was wonderful. Viviana: I saw two girls walking down my neighborhood. As they were blondes with blue eyes I followed them and asked who they were and what they did here. They gave me the address of the foundation and I went to talk with you guys. That’s how it all began. Viviana: for me the time we share with the volunteers and interns is always a lot of fun. I have learned a lot from the Dutch culture and I am very curious to go there. Viviana: in my opinion, there really are not many differences. Between Holland and Ecuador as countries there are some differences like for example that in the Netherlands it is much safer. But among cultures I do not see many differences. What was the most fun time you have had with a volunteer? Viviana: when they learn Spanish. They confuse words. Eline for example thought that a lawyer was an avocado and said that in the Netherlands it costs a dollar. She also said once that her son was coming, but she wanted to say uncle. It was very funny. What do you think of Local Dreamers? Viviana: for us this whole experience has been excellent. The volunteers and interns are great company and it’s nice to learn from other people. They are beautiful experiences. The ugly thing is that you build a close bond with them and then they go back to their country and leave an empty space and everyone cries.